In honor of Women’s History Month, we want to recognize some of the fabulous female-helmed restaurants in our beautiful borough. Beyond delicious food, a common thread in the conception of all of these restaurants is an infusion of love, lineage, and tradition with a twist, which we invite you to experience. It’s quite challenging to book a reservation at Chef Missy Robbins’ ultra-popular Italian hotspot housed in a former auto-body garage, and lines snake around the block by 5pm. The reason for this is perfectly prepared pastas. Robbins is known as “Obama’s favorite pasta chef” and was named “Best Chef in New York City” by the 2018 James Beard awards. She was also given this nugget of praise by New York Times food critic Pete Wells, along with a three star review: “Pasta made by Ms. Robbins is a direct route to happiness.” Begin with an order of bagna cauda of vegetables, house-made mozzarella, grilled clams with Calabrian chili and breadcrumbs, or liver crostini, all masterfully executed and simply delicious. You can’t miss the signature agnolotti stuffed with sheep’s milk ricotta and topped with saffron-infused honey. The spicy tomato sauce in the rigatoni al diavola and the crisp tanginess of pink peppercorns in the malfadini are somehow better than you can find anywhere else. Complete your meal with the “Italian Job Deluxe”—soft-serve gelato, honey, olive oil, sea-salt, fennel pollen, and shaved truffle. In the daytime, swing by Lilia Caffe off the main dining room for espresso and homemade pastries in the morning, and panini, focaccia, and vanilla or chocolate soft serve gelato with tasty toppings in the afternoon. Robbins’ latest venture, Misi, a pasta and vegetable-focused South Williamsburg eatery, has also been received with critical acclaim and equal popularity. Chef Cheryl Smith began her restaurant career as a dishwasher and worked her way up the corporate food ladder to become executive chef of Marion’s Restaurant in Manhattan and the host of the popular Food Network show Melting Pot, before establishing her Prospect Heights “cozy café around the way.” Smith’s menu encompasses global comfort foods spanning from classical French, contemporary pan-Asian, Pacific Rim, Moroccan, and home-style American, and every bite is deliciously comforting. Our favorites on the menu include Moroccan vegetable tagine, Bulgogi-marinated rib eye steak, and juicy Creole B.B.Q jumbo shrimp, followed by a hearty bread pudding or brûlée-crusted lemon pie. Nasim Alikhani’s sensational debut restaurant was roughly 30 years in the making. After owning a print shop and raising twins, she was able to fulfill her lifelong dream of showcasing her love of Persian comfort food and desserts in a sleek, airy, and modern oasis. An ode to all the Iranian women in her family who helped raise and nourish her, the dishes on the menu reflect her heritage. Regulars clamor for a side of tahdig (golden chunks of rice from the bottom of the pot, which sell out quickly) to accompany an array of delectable dishes like grilled cauliflower with shallot yogurt and pistachios, spinach and prune stew with braised beef, and smoked eggplant. Refreshing dessert offerings include saffron rice pudding, rosewater sorbet, and pistachio ice cream. Chef Suchanan Aksornnan, known as “Chef Bao Bao,” grew up in Chiang Rai, Thailand. In her teens, she followed her mother Amornrat Fukuda, also a chef (Chai Thai Kitchen), to New York. After graduating from The French Culinary Institute in New York and working alongside elite chefs Jean-Georges Vongerichten, Daniel Boulud, and Tiffany Derry, among others, Chef Bao Bao decided to bring her traditional Thai family recipes to new life with an innovative French-Asian-Spanish fusion twist in a cozy 20-seat enclave. Recognized as one of Zagat’s “30 under 30” culinary rising stars in NYC in 2015, and noted as one of 11 of “The Most Badass Female Chefs in New York” by Thrillist, Chef Bao Bao has a cult following. Try the steamed buns during brunch service and the Seared Duck Breast Noodles at dinner. While we’re on the topic of Bao, we encourage you to watch this delightfully endearing female-helmed Oscar-winning short titled Bao. James Beard Award nominated Chef Rawia Bishara is the founder of one of the most beloved Middle Eastern restaurants in all of New York. Born and raised in Nazareth, Rawia moved to New York in 1974. She established Tanoreen in 1998, and it became a global foodie destination. It won the Bib Gourmand from the Michelin guide, an elevated ranking in the Zagat guide, and a star from the New York Times, among other accolades. Bishara has published two cookbooks that are sold worldwide. Customers often call ahead to be sure the cauliflower steak and beet hummus are on the menu. 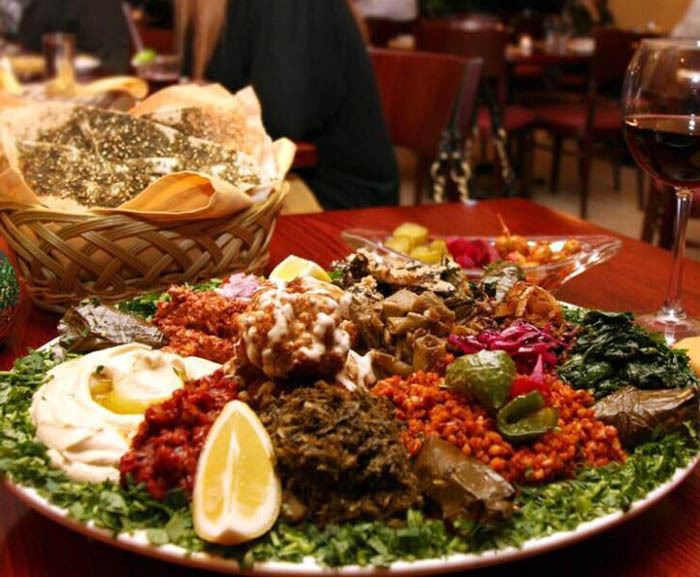 Also recommended are the spicy lamb kibbie balls and lentil pilaf followed by knafeh, an aromatic Middle Eastern dessert pizza infused with rose water and orange blossom, and her famous triple almond cake for dessert. Fausto is “a Brooklyn restaurant with an Italian soul.” Chef Erin Shambura and restaurateur/sommelier Joe Campanale of L’Artusi, an acclaimed West Village outpost, had huge shoes to fill when they took over this spot from the former Franny’s, a neighborhood destination (aka everyone’s favorite restaurant in Park Slope), which occupied this space from 2013-2017 after relocating from their first location of 10 years. But dare we say it? Fausto is even better than its beloved predecessor. It’s a tad fancier than Franny’s, but still maintains a laid-back atmosphere. The service is friendly and attentive, and the cocktails and wine list are as varied and intriguing as the dinner menu. We suggest trying any of the pastas on the menu, along with the snapper crudo or whole roasted porgy, orechiette with pork, little gem salad, and any dish prepared in one of the large wood ovens flanking the marble-topped open kitchen. Try the Cerasuolo d’Abruzzo with pasta, a deep red rosé with a tart, clean finish. For dessert, share the lemon ricotta cake and chocolate espresso panna cotta, both equally delicious. After honing her talents at acclaimed restaurants Blue Hill and Annisa, Chef Sohui Kim and her carpenter husband built this restaurant from the ground up in 2006. Dining here feels warm, inviting, and homespun, and the appealing garden only heightens the experience. The food is a vibrant mix of American flavors with Korean influences, and the small but eclectic menu bridges the gap between comfort food and fine dining through true attention-to-detail. Produce is sourced from a local Added Value Farm. Noteworthy selections are the pork and chive dumplings and steak and eggs. 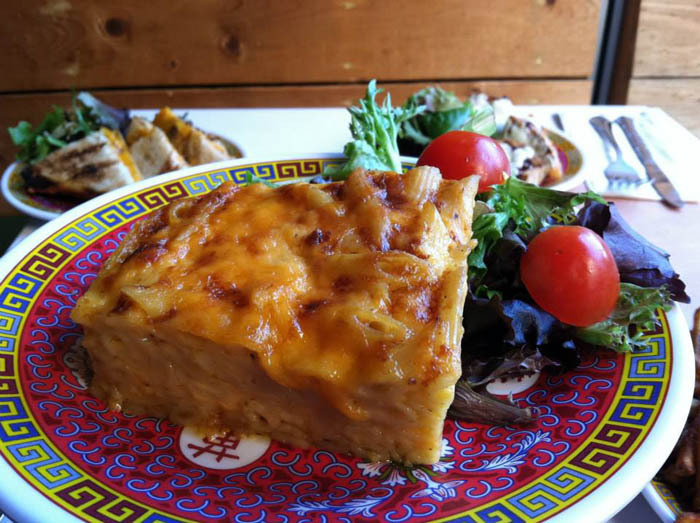 Vegetarian substitutions are offered, such as tahini-covered crispy tofu over kimchi rice in place of “steak and eggs.” For the dessert menu, they sweetly feature another local Red Hook favorite, Steve’s Authentic Key Lime Pie. 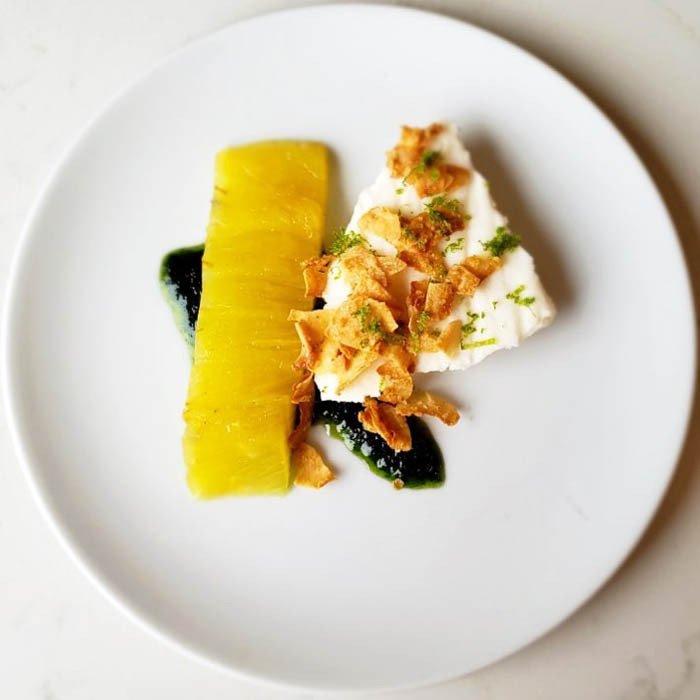 Staffed entirely by women and founded on culinary creativity, this chic Clinton Hill space was fashioned by chef Claire Welle as “a modest bistro” with a refined menu specializing in innovative American appetizers and cocktails. Your meal begins with homemade bread and salted butter that is so tasty you might decide to buy a loaf out of the kitchen’s back door during the day (luckily, you can). Enjoy a rotating menu featuring avant-garde and experimental flavor combinations. Meat dishes likely come from a whole animal Welle has expertly butchered herself. For dessert, if they are on the menu, dig into the surprising yeast semifreddo or the coconut pot de crème. Head to this casual and eclectic diner for crunchy, juicy (organic/humanely-raised) deep-fried chicken and scrumptious homemade pies with custom crusts. Delicious Southern comfort foods round out the menu, like fried catfish, mac’n’cheese with a spicy kick, and award-winning buttermilk biscuits, all deftly prepared by Carolyn Bane, Sarah Sanneh, and Laura Jawitz, three innovative women who met working in the kitchen at Diner. Awarded “Best Fried Chicken” and “Best Apple Pie” in national surveys by Food & Wine and Bon Appétit, “Best Biscuits in New York” by the New York Daily News, and “Best Donut” in New York by New York, we suggest a taste test of your own. We are partial to the fried chicken box, which includes three pieces of perfectly fried chicken and a buttermilk biscuit with a choice of one side, a butter pecan crunch donut, and rhubarb, apple, key lime, or coconut cream pie. Earlier this year, award-winning bartender and eco-activist Claire Sprouse opened this delightful all day café and bar that churns out crave-able American breakfast and lunch fare and inventive drinks while following a strong sustainable ethos. Recognized in Esquire’s top 10 “Most Imaginative Bartenders” in 2012, she pairs her bartending skills with an eclectic yet approachable menu. Every aspect of her business is rooted in sustainability, from the construction of her restaurant to low-waste practices via cross-utilizing ingredients and composting. Standouts on the menu include the cod tots, coconut pomelo salad with chicory, smashed cukes, little apple cider pancakes accompanied by whipped yogurt, rosemary toffee sauce, pecans and bacon, and the green eggs & ham. On the drink menu, fun options include No Big Whoop (lambrusco, cucumber seeds, honey, calvados, and lemon), Saturn Returns (cachaca, Spanish brandy, fermented cinnamon, and grapefruit zest), and Smoky Mountain Song Bird (mezcal, turmeric, madeira, and lemon). The work of female artists from around the world is featured on the walls, and a female leadership team supports Sprouse to create meaningful change within the industry. Croatia is Europe’s Best Kept Secret!